The thinnest and lightest lens material currently on the market. Spectacle wearers have a stylish alternative with this material, whether their prescription values low or high. This highly-refractive plastic makes extremely flat, lightweight lenses possible, even in the case of high-magnification lenses. These guarantee the spectacle wearer not only comfort, but also very natural, crystal-clear vision thanks to the high degree of optical clarity. Therefore, this material is suitable for fashion-conscious customers, who place great importance on aesthetics and elegance. Tis material has outstanding characteristics. It is extremely flexible, highly heat-resistant and amazingly light. For its development, the former monomer mixture with the index 1.67, was completely changed and perfected in order to develop Eynoa. 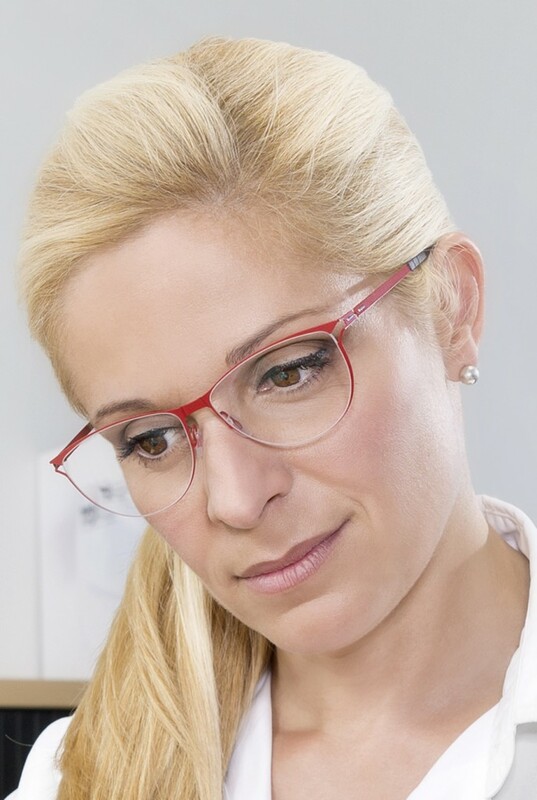 The “Eynoa” material is available both as a unifocal variant and as progressive lens material. The successful “Nulux” aspheric design makes it possible to manufacture extremely thin lenses. The optical characteristics guarantee broad, unimpaired fields of vision. The organic material “Eynoa” is very flexible and is particularly suitable for rimless eyewear. The material with the index 1.60 is a mid-index organic material with maximum clarity and quality. The lens is very thin and light and therefore offers exceptional wearing comfort and high stability and security. The optical characteristics eliminate all chromatic distortions to a minimum which prevents the appearance of disruptive interference colours. A natural all-round vision is guaranteed. Thanks to its high flexibility, the “Eyas” 1.60 material is highly recommended for rimless frames. In addition to being extremely thin and light, the “Eyas” material is clear, optically pure, flexible, and reliable. This material is ideal for people who prefer vision that is especially clear and high in contrast and also require a high level of wearing comfort and optical purity. The ideal lens for active spectacle wearers. PNX 1.53 is an absolutely reliable material, which guarantees the maximum possible level of safety in everyday situations. It is extremely robust and stable. As a result, it is especially well suited to sporting activities, for children’s spectacles or for rimless spectacle frames. In spite of its great resistance to breakage, the PNX material has a very soft surface and is equipped with a hard coating as standard, to guarantee a long service life. It is the solution for users that are sporty, young and young-at-heart, who have to be able to rely on all-round vision when wearing their glasses. The exceptional NXT material combines light weight with toughness and a high level of visual comfort. This material was specially developed for sportsmen and -women and therefore available exclusively in combination with a tint. By filtering out a specific light wavelength, NXT spectacle lenses ensure optimal colour perception, an increase in contrast and visual comfort under different light conditions. These lenses show no colour change or fading. The NXT material blocks harmful UV rays and protects the eyes. TRI sunlenses are available in following options: constant tinting, phototropic and polarizing. Hilux 1.50 plastic lenses are standard for single-vision spectacle prescriptions. They are made of CR-39, the tried and trusted, oldest, organic material from which spectacle lenses are manufactured. Normal requirements in the low magnification range can be fulfilled using this material.